Lake Union is a freshwater lake that sits just north of downtown Seattle as well as the name of the community that lies on its east and west shores. It’s primarily surrounded by floating homes, houseboats, vessel marinas and commercial business, though there are surprisingly few waterfront homes, other than some condos that sit on the lake’s east side. It became famous after being spotlighted in the 1990s hit film “Sleepless in Seattle, with Tom Hanks character living in one of the floating homes. Unlike what most people think, understand when you’re looking for Lake Union waterfront real estate that these aren’t houseboats, but rather homes that are permanently attached to a dock, designed to be moved into place once and typically moved again, and are often a part of condominium or cooperative associations. 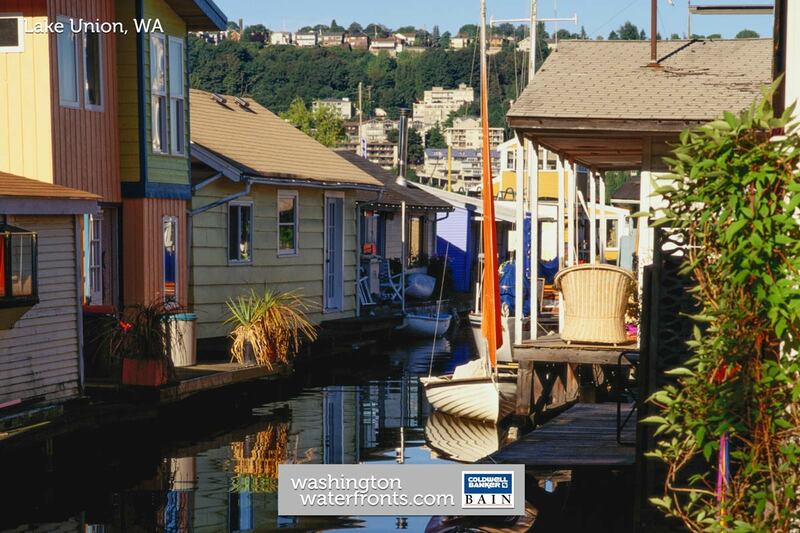 The houseboats you’ll find among Lake Union waterfront real estate (of course, they’re actually right on the water and not fronted by it), are generally situated in recreational marinas with quick-disconnect utilities. While they aren’t required to have engines, or to cruise the water, they can be easily moved from one marina to another. Whether you choose a floating home, houseboat or something else, if you enjoy relishing spectacular water views, there’s really no better way to get them than from a home that’s literally on the water – and, you’ll be able to get to that boat or other watercraft much quicker too. With anyone and everyone coveted Lake Union waterfront real estate, it may be hard to come by, but it’s well-worth the wait. You’ll even have a front row seat for the Christmas Ship Parade of Boats, Fourth of July fireworks and New Year’s Eve celebrations. If you’re especially lucky, you’ll score one with a hot tub on deck too. Take advantage of our industry-leading tools to make your property search as easy as possible and be sure to register for a FREE account so that you can receive email alerts whenever new Lake Union real estate for sale hits the market. If you’re seeking to sell your Lake Union property, contact our Waterfront Specialists directly for a comprehensive listing analysis and to learn more about the cutting-edge marketing strategies we’ll use to sell your home quickly for top dollar!